Step inside this diminutive vintage camper and see and smell the freshly baked cupcakes and fragrant tea. While Amy and her Mom are enjoying a tea party together, something magical happens that changes Amy’s perspective forever. With her mother’s love and guidance, a powerful life lesson is learned. Based on a true story, this book is sure to please all ages. 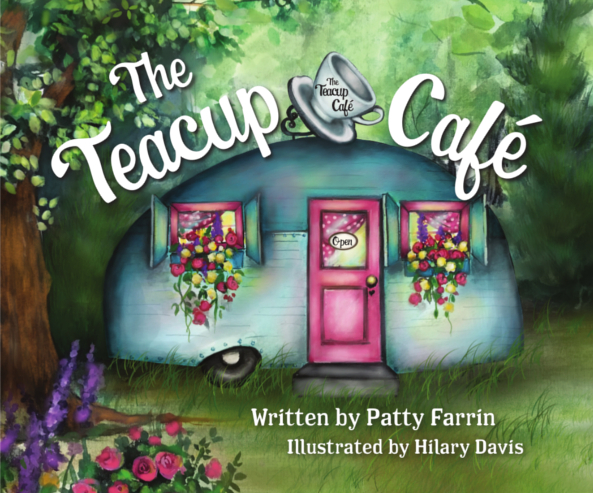 Patty is retired from the Federal Government and is the owner of The Blue Willow Tea Room in Randolph, Maine. She is a creative baker and cook and enjoys antiques and vintage campers. Patty is a proud Mom of two children, Amy & Jac and is married and lives with her husband, Rusty, in Chelsea, Maine.